Thursday, September 19th, 1963 - at Ealing Studios in West London actor Leslie Bates, standing in for Jeremy Young, casts a shadow over a sandy set... and over a Police Telephone Box. 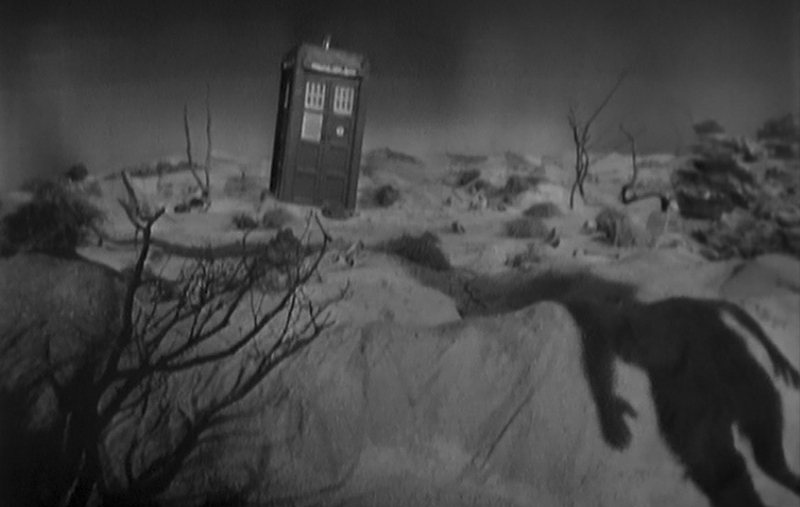 The cliffhanger to An Unearthly Child, the very first scene of Doctor Who committed to film, had been shot. At the time Doctor Who was a potential cover candidate for the esteemed magazine until Editors displayed a lack of confidence in the show, opting for a cover for Round the Horne instead (Who wouldn't get a Radio Times cover until 3 months later, for Marco Polo). Rehearsals for An Unearthly Child would start until the day after that, on Saturday 21st, but for now, a little piece of History in the making was already in the can.